EC412 is a PCI Express expansion card designed to add NGFF M.2 devices such as SSD onto existing PC motherboard. Dual M.2 slots support both PCI-E based M.2 device (M key, NVMe) to run via the faster PCI-E interface at up to 32Gbps, and legacy SATA based M.2 slot (B key) for connecting to a SATA III port. 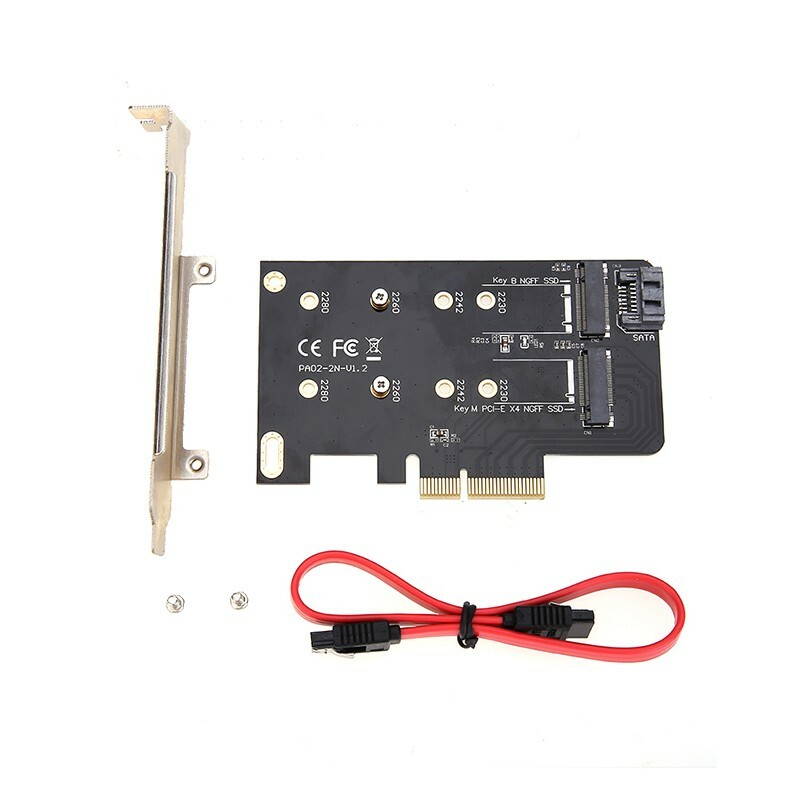 M key M.2 is for use with PCI-E (NVMe) SSD only, B key M.2 is for use with SATA SSD only. B key M.2 SSD requires SATA 7 pin cable connected to motherboard to function. NVMe M.2 SSD requires the use of Intel 9 series (Z97 H97 Z170 X99) or higher version chipset based motherboard with Windows 8 or higher operating system. It’s recommended to update your motherboard’s driver and BIOS to the latest version before install the Expansion Card. Copyright ©2012-2017 Simplecom Australia All Right Reserved. Simplecom is a registered trademark of Simplecom Australia Pty Ltd. All other trademarks are property of their respective owner. Specifications and external appearance are subject to change without notice.